It was a senseless tragedy; a despicable act of terror carried out by a deranged and sick human being. We are all saddened by this tragic loss of life, and mourn with the City of Orlando and all those so severely impacted by the actions of this deranged terrorist. As we slowly piece together how Saturday night’s massacre at Pulse Orlando nightclub could possibly have transpired, the Republican Liberty Caucus of Florida observes a common thread connecting this tragic event with other recent mass killings. This location, like many others, was a government-mandated “Gun Free Zone”. As a consequence, what could have been a limited tragedy ultimately resulted in the deadliest act of terror ever committed by a single madman on U.S. soil. The response to this tragedy from the left and the mainstream media has been quick, decisive and exactly what we have come to expect. Their knee-jerk reaction is always the same: expand gun control laws and further erode the Constitutional rights of law abiding Americans. It never occurs to them that “Gun Free Zones” create target-rich environments where innocents are left defenseless from the deranged madmen that target these “gun-free” locations. The terrorist observed every gun control law, passed his background checks and even passed multiple reviews by national security agencies. News agencies have identified the gunman as a native-born U.S. citizen who was a licensed armed security officer. He was investigated by the FBI and DHS and cleared from additional surveillance despite having made violent threats. Despite Florida law that prohibits entering a bar with firearms, this terrorist nonetheless entered and committed mass murder while law-abiding, nightclub patrons were unable to defend themselves. Gun control laws simply do not prevent criminals, murderers and now terrorists from procuring guns or other weapons of destruction. These tragedies continue to reinforce to the Republican Liberty Caucus of Florida that properly trained and law-abiding members of society must be allowed to defend themselves. We advocate for the revocation of government-mandated “Gun Free Zones”, and we support “Open Carry” by concealed weapons licensees as an additional deterrent to these kinds of attacks, recognizing that an armed populace is far safer than one that is not. The Republican Liberty Caucus of Florida calls on the Florida Legislature to review and amend gun control laws to empower Floridians to protect themselves. The answer to senseless acts of terror is simple; allow this brave nation of free people to keep and bear arms as our founders intended, without threat of infringement. Bob White is the Chairman of the RLC of Florida, the Chairman of the RLC of Central East Florida and the Chairman and Founder of the Liberty Catalyst Fund. 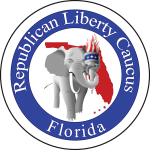 About the Republican Liberty Caucus – The Republican Liberty Caucus is a 527 voluntary grassroots membership organization dedicated to working within the Republican Party to restore its core principles of individual rights, limited government and free markets. 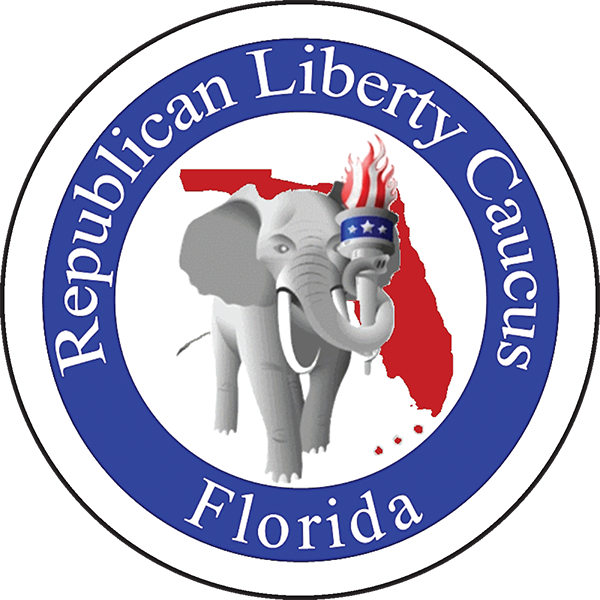 Founded in Florida in 1991, it is the oldest continuously operating organization within the Liberty Republican movement.